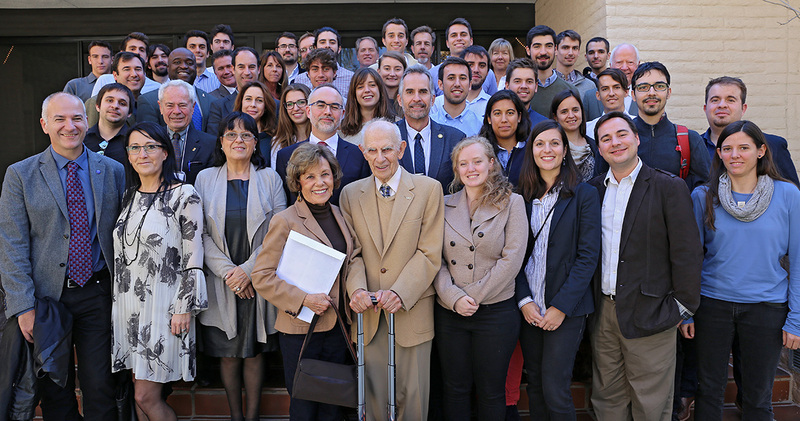 The Balsells Graduate Fellowship was created to help Catalan students with excellent academic records and the potential to outstanding contributions to the engineering profession. It has a total value of approximately $58,000 which includes all registration fees and tuition, health insurance, and a monthly stipend of $2,000. The fellowship also provides $1,500 to cover travel expenses. You may apply for a Balsells Graduate Fellowship if you have Spanish (or another European Union) citizenship, have legally resided (registered to vote) in Catalonia for at least 12 months, fluently speak and write English, Catalan and Spanish, and have received or will receive a 4-year (Bachelor’s) or 5-year (superior) degree in Engineering or related field from a recognized Catalan university. You must have received your degree within the last six years or plan to graduate by the end of summer of the year you are applying. Original (hard copy) or official electronic version submitted directly from your school to UCI in English (or Original in Catalan or Spanish accompanied with an official English translation) academic transcript from the University you attended. Note that not all departments accept electronic transcripts. A transcript that includes the most recent (or final) overall GPA on the scale of 10 is preferred. IMPORTANT: Contact the Balsells program at balsells@uci.edu several weeks before you submit your application so that you can receive proper advice regarding your specific situation. It is recommended that the TOEFL (or IELST) and GRE exams be taken in November or December at the latest. Some programs have deadlines as early as December 15 (see DEADLINES below). For further details on admission requirements see Applying to UCI. Notify the Balsells Program at balsells@uci.edu immediately after submitting your electronic application. It is very important that all your supporting documents listed above be received by the department you are applying to at UCI no later than the posted DEADLINES for Fall Admission. These deadlines vary by program. In order to be able to apply for the Balsells Fellowship, UCI must receive all of your supplementary documents (TOEFL, GRE, transcripts, letters) no later than February 1 (or earlier if required by the program you are applying to). You will be notified of admission in March. Step 2: The recipients of the graduate Balsells Fellowship will be chosen from among those Catalan students admitted into UC Irvine’s School of Engineering or the Donald Bren School of Information and Computer Sciences. Once you have received notification that you have been admitted, you will be asked to submit a two page PDF document to balsells@uci.edu. The first page of this document is a description of how you expect to contribute to the scientific or technological development of Catalonia after your complete your studies at UC Irvine. The second page is an official certification of residence in Catalonia (certificat d’empadronament) verifying that you have been a resident of Catalonia for at least 12 months. All Balsells fellowship awards are normally announced in May.